In 1998, Anthony Karabetyan created DNA Entertainment, a disc jockey company that soon became the largest, most recommended DJ & mobile entertainment company on the Monterey Peninsula (for more information please visit dnaent.com). In 2007, clients began inquiring about lighting and staging. Anthony, along with many of the DNA Entertainment team members, spent months learning about lighting and staging techniques and started offering these services to clients. Clients then asked for pipe and drape, linens, then tables. The rental portion of DNA Entertainment became so extensive that Anthony decided to separate the rentals from DNA Entertainment and create a sister company, Chic Event Rentals. Thus, Chic Events was created by the demand of the community for a local, reputable event rental company specializing in high quality inventory at all price points. 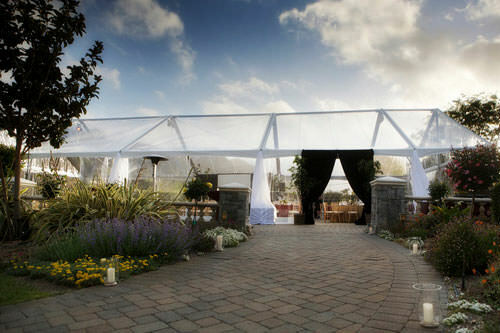 Chic Event Rentals officially began in 2009 with 1 employee in a 3,000 sqft warehouse and has quickly grown to be the premier event rental company in Monterey and Santa Cruz Counties. Today, Chic has a virtually limitless inventory in a 60,000 sqft warehouse with over 40 full-time team members. Chic is a preferred vendor of almost every event venue, coordinator, and caterer in Monterey and Santa Cruz Counties. From our experienced and creative staff to our luxurious and customizable event rentals, Chic Event Rentals will help make your event a unique, stress free, and unforgettable experience.